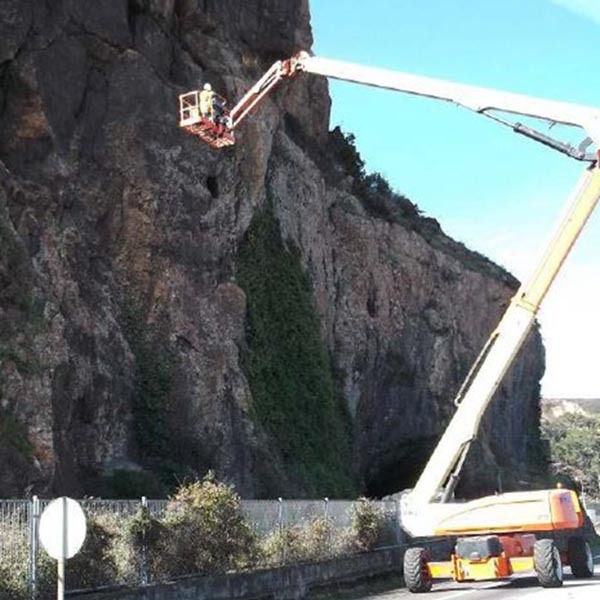 This new area is born from the collaboration of the Engineering Department, Applied Geophysics Department of and our Laboratory, and has been developed so that Orbis Terrarum offers services increasingly demanded by our clients. Our In situ test and auscultation area begins with the guarantee of precision and efficiency gave us by the use of our own equipment and personnel, and it allows us to carry out, nor only field trials, but also a precise approach to the problem to be solved, an accurate planning of the campaigns, and a meticulous and multidisciplinary interpretation of the results obtained. The main mission of this collaboration is to satisfy the strong demand of Pull Out Test requested by the photovoltaic market. 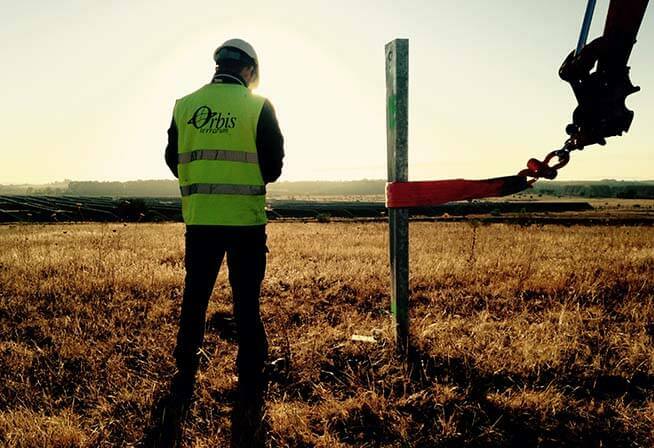 Currently, Orbis is carrying out studies of driven pole tests in Europe, Africa, Asia and America projects, taking care of all the necessary aspects for its development. Ramming Pile Feasibility and Zoning based on our own geotechnical studies. Technical Specifications Design for vertical and horizontal tests. profiles on-site distribution, driving machines hiring, driving caps, auxiliary services). Execution of the in situ tests. Development of proceedings and interpretation reports. Design for the optimization of the structure through specialized calculation software. » Photovoltaic Plants Pull Out Tests. » Atmospheric Corrosivity studies (wire on bolt tests). » Platforms and tunnels Auscultation by electromagnetic methods (GPR). » Monitoring of soil improvement treatments. » Sonic wave velocity in concrete structures.